Soy allergy can be common and often start in infants due to reactions with soy-based infant formulas. Though many children outgrow a soy allergy, the allergy may continue into adulthood. Soy allergy is caused by your immune identifying certain soy proteins as harmful invaders. When your body comes in contact with soy, antibodies in your body recognize it as an invader and releases histamine and other chemicals in your bloodstream. These can create a range of allergic reactions. Soy allergy symptoms can range from mild to severe. In extreme cases, reactions to soy allergy can cause life-threatening allergic reactions such as anaphylaxis. If you suspect you or your child has a soy allergy, see your doctor or an allergist for testing. In the event you or your child has a soy allergy, products containing soy should be avoided at all times. Many soy allergy symptoms are uncomfortable but not life-threatening. Symptoms of a food allergy typically develop within a few minutes or hours following consumption of food with the allergen. In rare cases, severe reactions to soy may cause anaphylaxis. This reaction is more common with people who have asthma or other serious food allergies besides soy. The best way to manage a soy allergy is by avoiding foods and products containing soy. Read all food labels and avoid these common foods containing soy. Get tested by an allergist to confirm if you or your child has a soy allergy. There are several tests used to determine if a soy allergy is present. These tests include a skin prick test, a blood allergy test, food challenge test, or elimination diet. Your allergist can educate you on the best method to test for soy allergy. There is no cure for soy allergy. The best way to treat a soy allergy is by avoiding consumption of soy products. With severe allergic reactions, an epinephrine pen should be available at all times to alleviate anaphylaxis symptoms. Call 911 if life-threatening symptoms occur. Do you or a family member have a soy allergy or other food allergies? 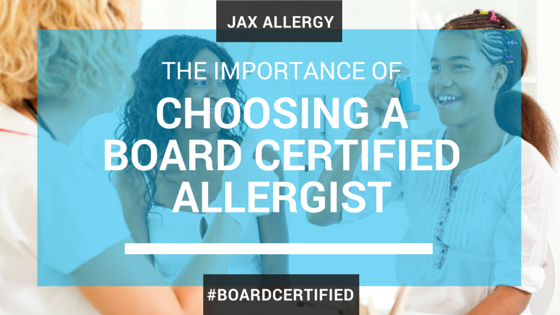 Speak with an allergist about diagnosis and treatment options. Schedule an appointment today to know for sure if you or a loved one is suffering from a soy allergy.